Embrace transitions as a learning opportunity. Just before 2019 arrived, my father passed. He struggled with health issues for many years, among them cancer, alcoholism and depression. We had a challenging relationship, but in the end, we made our peace. I loved him because he was my father and honor him for he was human. I learned what his version of BE-ing meant, its impact on mine, and why it should not. Because it wasn’t about me. Share your gifts. I’m a connector and a geek girl at heart. My passion for connecting people for greater understanding paid off in the end. After I set Dad up with an iPad, FaceTime and Facebook, sparks of his old self came forth. We got a final blast of his dry humor, his love for stories and his interest in world affairs and peace. Loneliness is known to be a contributor to mortality rates in seniors. 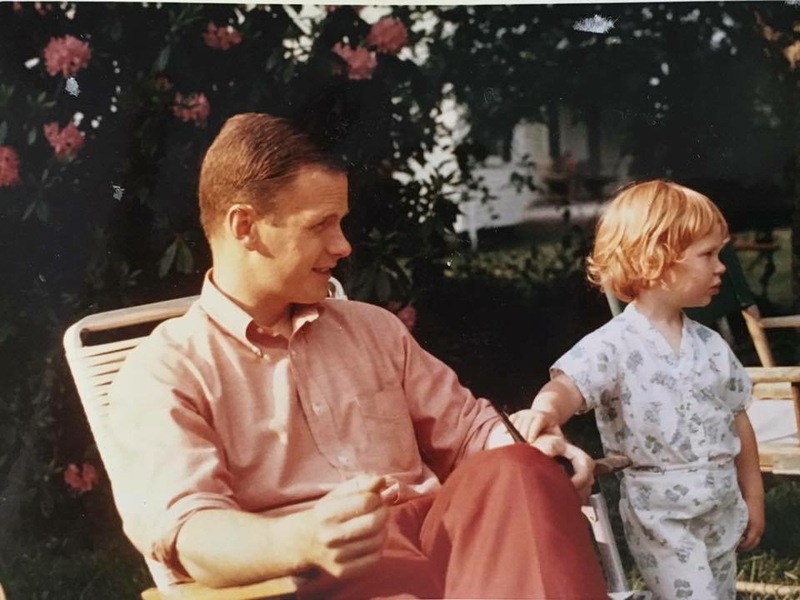 Dad may have been physically alone in his room, but his connection with old friends and family was rekindled aided by tech. Appreciate what you have. As 2018 was coming to a close, I felt an immense draw to simplify, remove excess and appreciate what I already had. I reached out to a few extended family members to invite them as guests on my Evolving Digital Self podcast. The first was my cousin, Jonathan “Santa JG” Meath, who has been the Coca-Cola Santa since 2016 (among other great work in public television). I realized that my brother, Jamie Forbes, and his work with legacy both for families and companies would make a great New Years episode. I hadn’t planned it that way, but this episode ended up being a great dedication to Dad and the legacy he left through us. Self-Care is not selfish. This one sounds almost silly and obvious when written down. We use the excuse of “no time” or too many other commitments to do what is right for our bodies and minds. We neglect basic needs like eating healthy, getting enough sleep and moving our bodies. Checking in with both ourselves and our loved ones often is left as low priority when we get into DO-ing mode. In order to BE, we need these things as much as we need fresh air to breath. Why Are We ‘Should’-Ing All Over Ourselves?